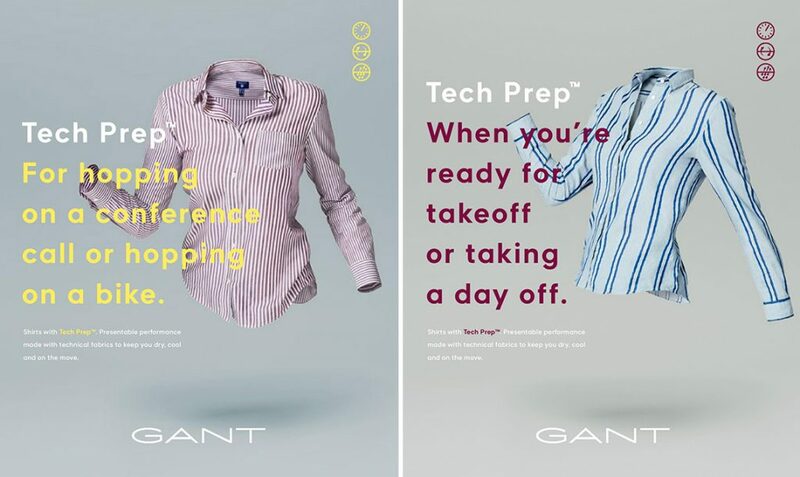 After the successful introduction of Tech Prep™, GANT is evolving the range with new shirts for both men and women. These are available in GANT stores from 5th of September. “GANT’s credo is Never Stop Learning, and in this second generation of Tech Prep we have broadened the collec­tion for women, and added even more styles for men with further innovation. Our passion is to exceed our consum­ers expectations and with these shirts we are confident we will.” says Patrik Nilsson, CEO of GANT. 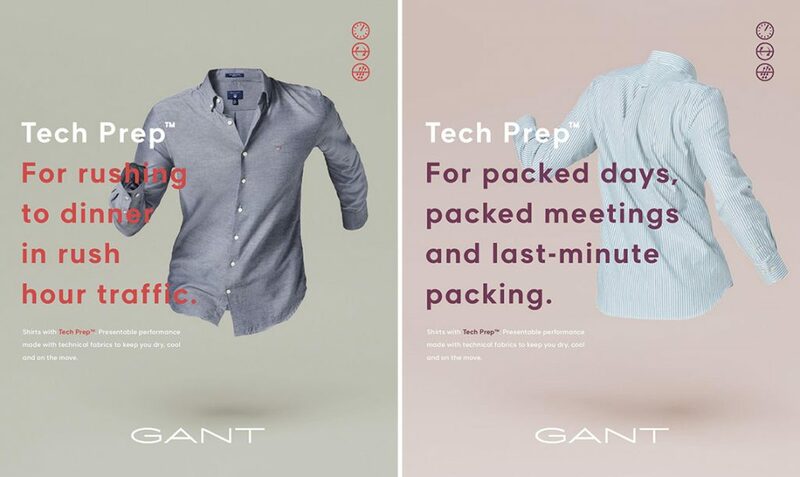 Originally launched in February 2017, Tech Prep enhances the timeless GANT look with smart technology that supports an active lifestyle. Innovative fabrics give a buttoned-up look but a feeling of freedom. Quick-drying, breathable fabrics with improved wicking are engineered to keep you cool, dry and comfortable – whether you are jumping into a meeting, jumping onto a plane, or just meeting up with friends. 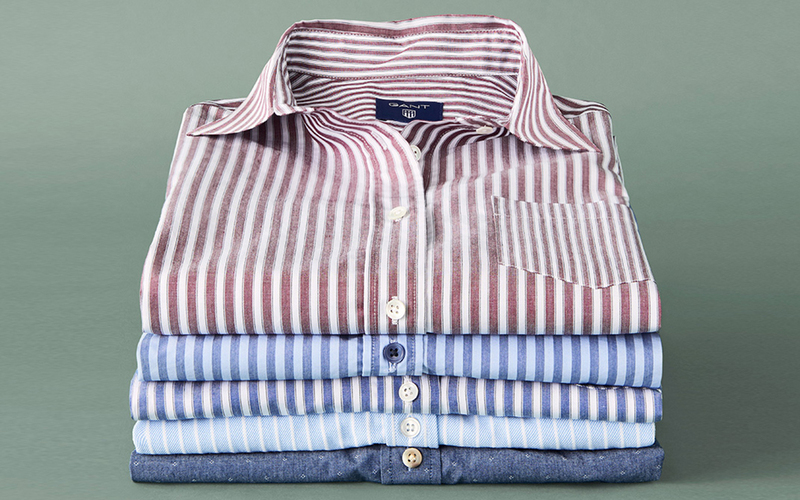 Features stripes of different widths on the body and sleeves, as well as a pointed collar, knife pleats at the back, a classic cuff with adjustable buttoning and the GANT logo on the sleeve placket. Mélange base with satin dobby stripes. Point collar and inverted box pleat and locker loop at back. The finish on this shirt with Tech Prep is made with PMC impregnated wool fabric to hold the wearer’s temperature at a perfect 37.5 degrees. This process was scientifically developed for astronauts and combines function with great hand-feel. This high-tech performance garment comes in beautiful plain twill weaves as well as sporty check and plaid designs. Jasper yarns are different colored yarns twisted into one before the fabric is woven. This technique gives our clas¬sic weaves a beautiful color-medley effect, ranging from solids to bold GANT plaids in blue and red. As always, the Tech Prep material is fully breathable, fast drying and high wicking – characteristics that are perfect for an active lifestyle.